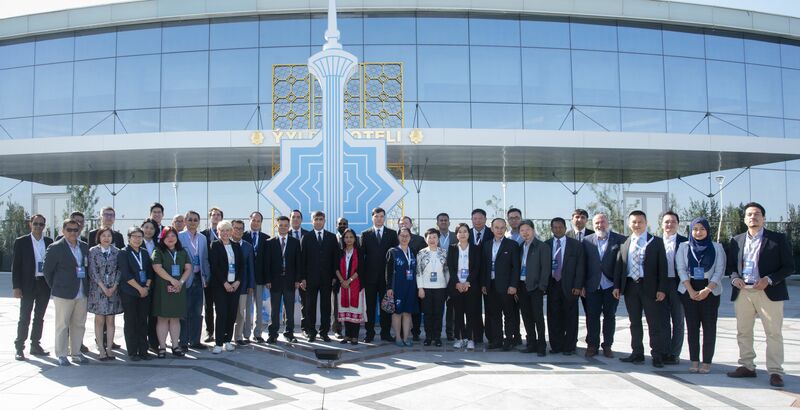 The 63rd Sports Group Conference and Associated Meetings took place on Sept 30 and Oct 1, 2019 in Ashgabat, Turkmenistan. The conference started with the two committee meetings, where matters related to Broadcast Rights and Finance were discussed. The Sports Group commended the work and initiatives of the ABU Sports, and the reports and proposals submitted were endorsed. The opening ceremony was graced by the Minister of Sports and Youth Policy of Turkmenistan, Mr. Dayanch Gulgeldiyev, the Acting President of ABU, Ms Supriya Sahu and the ABU Secretary-General, Dr Javad Mottaghi. Delegates described the two-day conference as a success not because of the overwhelming attendance, but because it agreed to tackle concerns and issues unanimously. And more important, the Ashgabat Conference identified targets and practical strategies. It was underscored that media rights management and negotiation for premium sporting events continue to remain a challenge. It was pointed out the license fee keeps on snow-balling with every successive event. The Sports Group further recognised the importance unifying under the ABU banner for right acquisitions. Besides acquiring multi-platform rights, the group also need to engage members as a pool for negotiation. The presentations at the members’ forum revealed that some had to sacrifice events like the Asian Games, simply because they could not afford the exorbitant license fee. The ABU Sports informed that production will continue and more emphasis will be placed on Internet based production and transmission. Renewed collaboration with international federations and events management among others are also underscored. Concurrently, the conference identified six re-defining aspects and strategies”. These are re-defining television, the content, Broadcast Technology, the User, the Working Mechanism & the sphere of public opinion. To achieve these, the Sports Group called on cooperation between and among members and the Union. The Group Chairman said the collaborative efforts and partnership must be interwoven into strategies, that of being innovative, invigorated, inter-connected, inclusive and interactive. The conference ended with an invitation from QAZSPORT in Kazakhstan, the host for the 2019 mid-year Sports Group Conference.